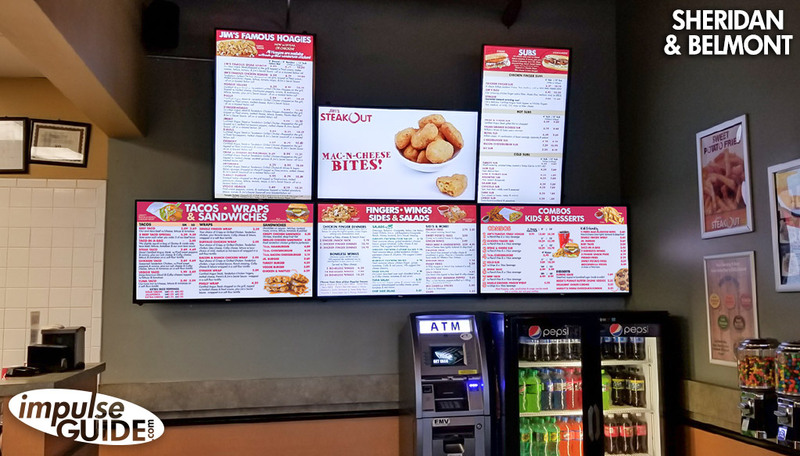 Don’t forget to visit us tomorrow from 10am to 4pm, Wednesday, October 17th at the Facilities Management Expo! 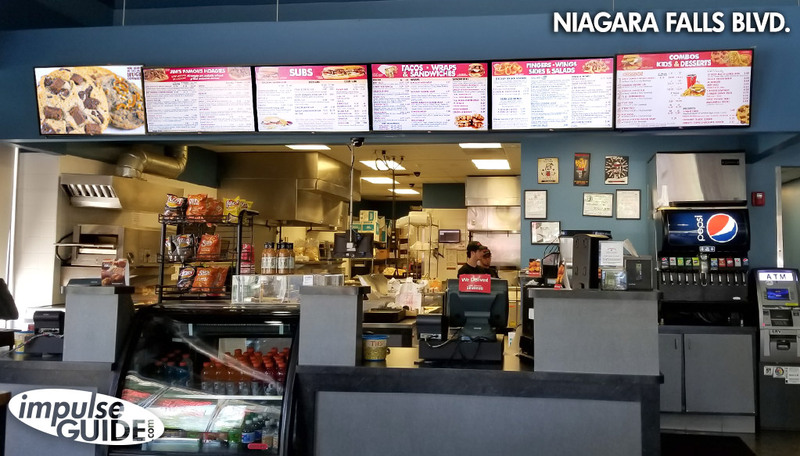 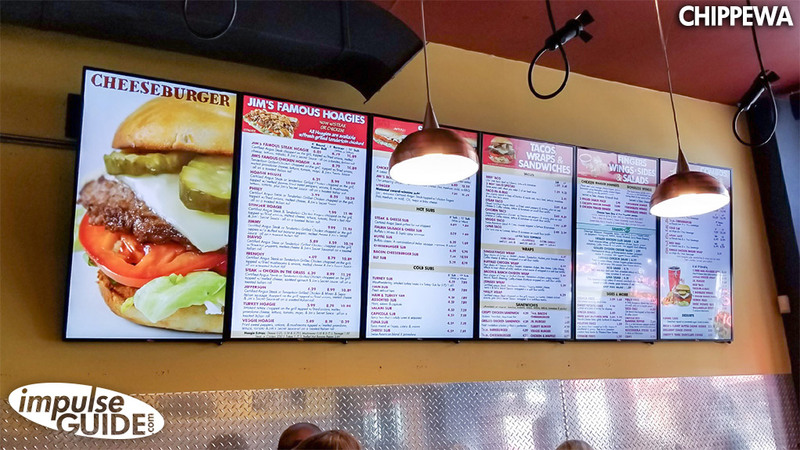 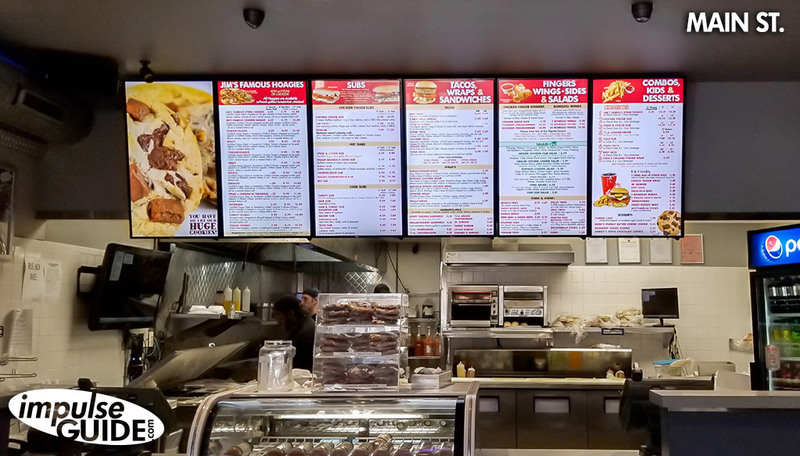 We are SO EXCITED to be in the middle of installing our Digital Menu Boards at most of the Jim’s SteakOut locations around WNY. 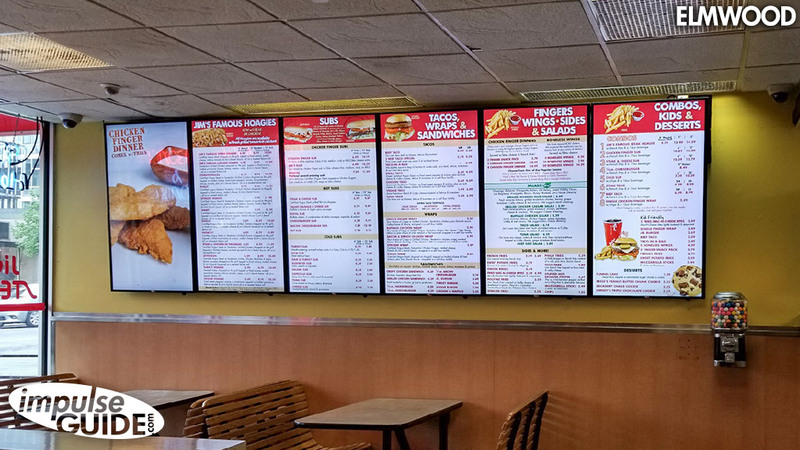 Our installers are still working their magic (and will be for the rest of the month to complete this digital menu board rollout!) 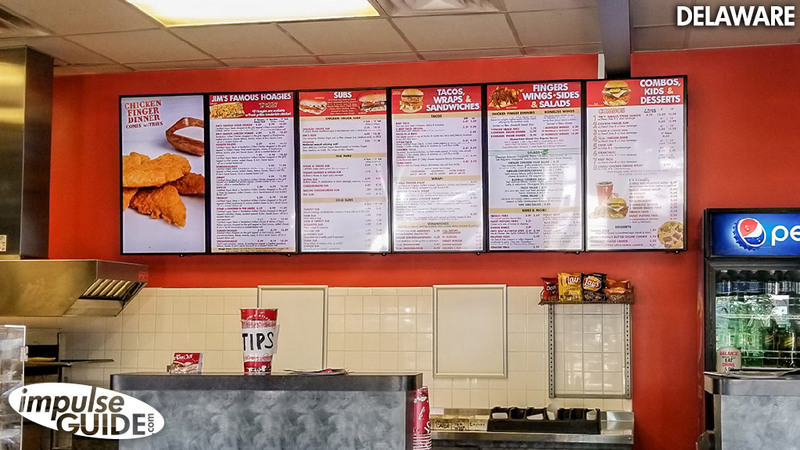 but we have some final shots of the ones completed so far. 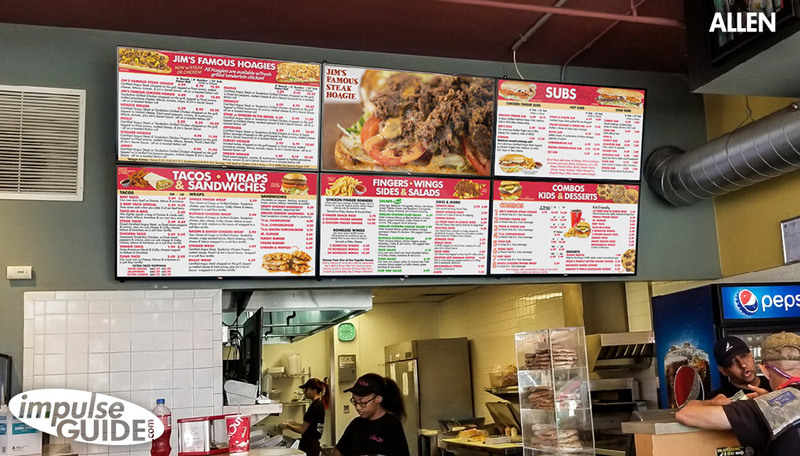 *Updated* to now show all of the locations we are in, below! 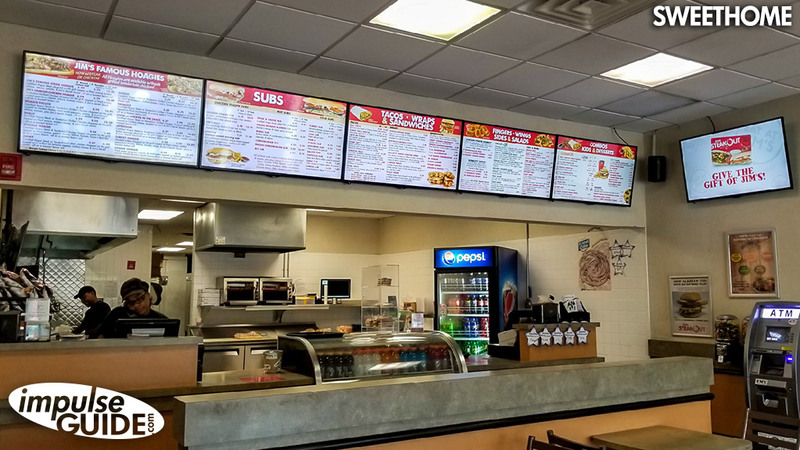 Jim’s SteakOut | Main St.
We will update frequently with new photos but make sure you check them out in person and enjoy Jim’s Famous Steak Hoagie!